It’s been a while since I posted an actual project I’m working on. Since I started working full time for Apportable, I’ll admit there is less time to work on projects, but that’s really no excuse. In addition, as the new year merits such reflection, I’ve been thinking about why I didn’t ship anything last year. Then I realized, I *technically* shiped something. I shipped my children’s note teaching app (that was already on iOS) on google play using the Apportable framework. Apportable lets you compile your objective-C iOS project to android and run natively. I thought it was lies and insane when I first heard about it; now I can confirm that it is simply black magic. Anyway, I’m usually working on other company’s apps, and improving the Apportable platform where it is is not perfect, so this was a nice way to hit two birds with one stone. I also started on a binaural beats app, and got a quick prototype, but it didn’t seem as useful or original enough to publish without specific controls, so I’m still working on that. Instead, I put my efforts into a ‘background noise’ app. I started on this because I wanted to be able to drown out the sounds of the 580 and BART that my midcentury apartment building windows are not rude enough to prevent passage into my bedroom. It’s made me remember how much I love the sample synthesis for-loop in an audio callback. (I want to post more on various synthesis techniques in the future). 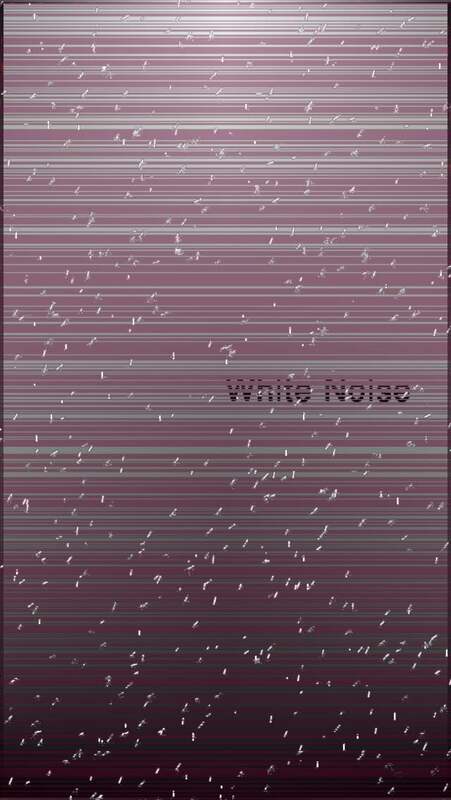 So far the app only has three background noises – rain, waves, and crossfaded white noise. To stay productive, I might just release it as such and develop further as my interest stays with it. To the right is a screenshot of the minimal gl/coregraphics based rendering to accompany the background noise. I’ll try and do a live coding screencast just to get some of it on the screen again. With the full time job, I can work on all those financially-worthless-but-fun ideas that are musing around in my head that were out of the question when I was doing the solo contract-dev shop. Just to be clear, I am posting this so that I will feel embarrassed if I don’t take advantage of that freedom when I come back and check on this blog.